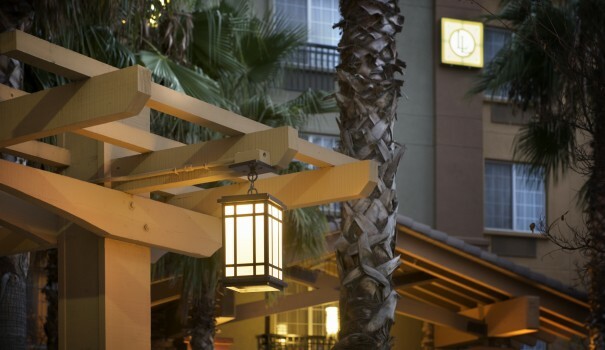 Welcome to the Larkspur Landing Roseville hotel: your home away from home in California. Enjoy complimentary WiFi, a fully equipped kitchen, and separate living and sleeping areas at our hotel in Roseville, CA. Located just 19 miles from Sacramento, Larkspur Landing is the best extended stay hotel in Roseville California for both business and pleasure. Enjoy a romantic getaway with the one you love with our special Romance Package at the Larkspur Landing Roseville hotel. Roseville Hotel is the perfect place to relax after a productive day of business or a shopping marathon. Enjoy comfortable corporate meeting space in an ideal location, with the offices of Hewlett-Packard, Kaiser, Oracle, and others just moments away. If you’re visiting for fun (or once business is done), explore a shopper’s paradise at the Westfield Galleria. Feeling lucky? The Thunder Valley Casino is also nearby. Here are the top things to do in Roseville, including local attractions and dining options. Whether you visit for a day or enjoy an extended stay, the Larkspur Landing Roseville Hotel has everything needed for total comfort and relaxation. Our all-suite accommodations with full kitchens, separate sleeping and living spaces, and free Wi-Fi are sure to please. Our friendly staff will welcome you to your home away from home. With our full range of amenities and luxurious all-suite accommodations, Roseville Hotel is the perfect venue for your next meeting or event, and every stay is as comfortable as home.